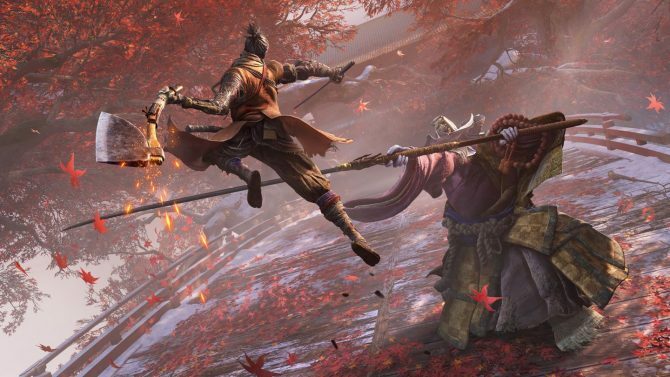 Activision and FromSoftware’s next newest title Sekiro: Shadows Die Twice is just around the corner releasing on March 22 which will see players delve into the shadowy and savage world of 14th-century Japan in an intense, third-person action-adventure from the creators of Bloodborne and the Dark Souls series. 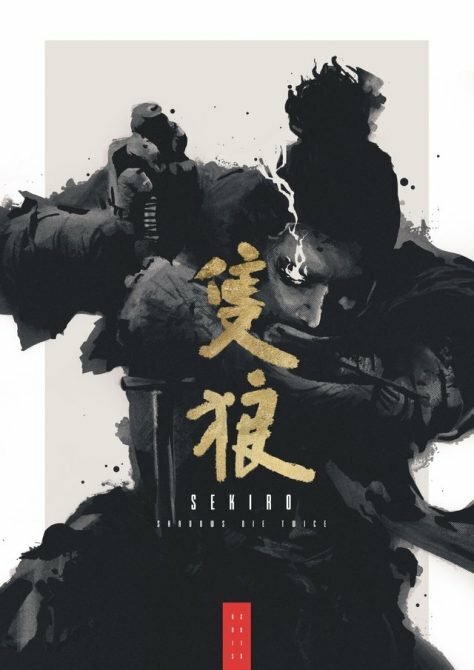 Fans can already get their hands on an 18-inch statuette of the One-Armed Wolf in all his shinobi glory for those who have pre-ordered the Collector’s Edition of the title, but just imagine playing Sekiro: Shadows Die Twice on an actual limited edition PlayStation Pro Console of the title’s namesake? This glorious console is fashioned in a dark bamboo/wooden look giving it a rich, earthy finish. 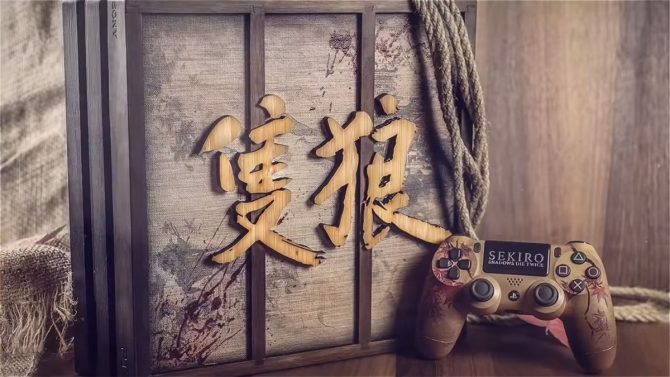 You’ll also notice that Sekiro: Shadows Die Twice is artfully engraved in a maple type wood effect in Japanese on the console in front of what looks to be a Japanese shoji screen. The game’s title is also written in English on the touchpad of the DualShock 4. I’m usually not one for limited edition consoles as so many can look rather cheap and tacky, but this one certainly caught my eye due to the amazing attention to detail. It’s also not brash which means it could nicely nestle in with the furniture of your home without standing out too much. There is only one problem with this console though – and it’s rather a big one if you don’t live in the Netherlands or Belgium as it’s exclusive to those areas. If you do happen to be a resident or maybe know someone who is, the Dutch online retailer Game Mania is the place to get it – although there’s a catch with that also, damn it! The only way you are in with a chance to get your mitts on this outstanding console is by pre-ordering Sekiro: Shadows Die Twice via Game Mania and then you’ll receive some free chopsticks. 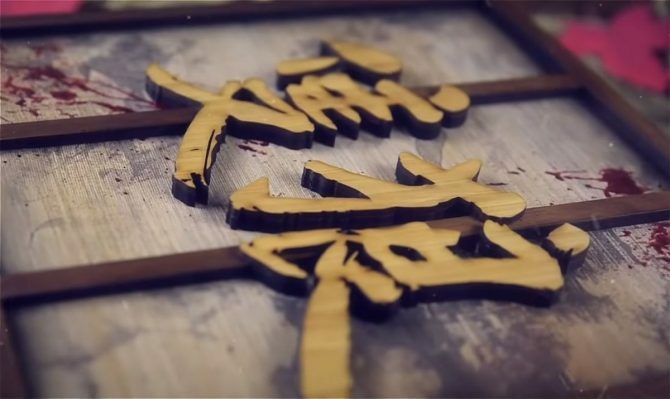 If you open it up and see that you got a pair of golden chopsticks, then the Limited Edition Sekiro: Shadows that Twice PS4 Pro console is yours. 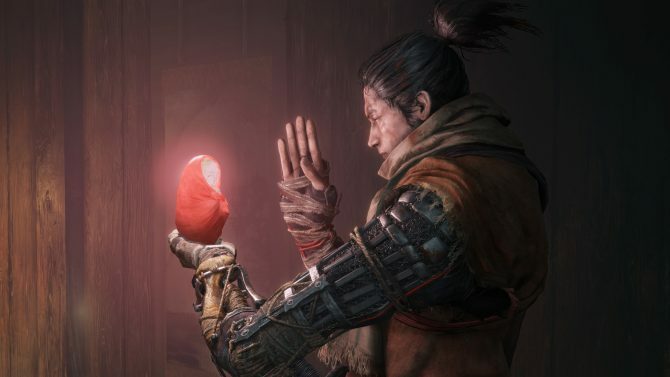 Sekiro: Shadows Die Twice will be launching on March 22 for PS4, Xbox One, and PC. 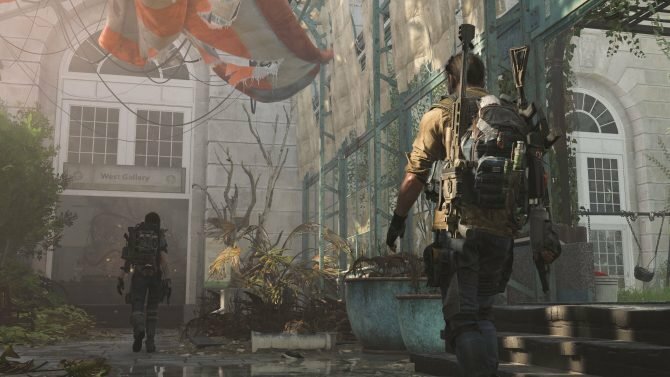 If you plan on getting it on PC, the game’s required specs have been published.